Barely one week after the six states of the South-West, SW, region comprising Ogun, Osun, Ekiti, Ondo, Oyo and Lagos states, otherwise known as the frontline states of development in Nigeria, met in Alausa, Ikeja, Lagos and completed the process of formally admitting Lagos State into the Odua Investment conglomerate with 115 million shares, what seemed to signal the commencement of political campaign by Governor Akinwunmi Ambode of Lagos State began. It was the commissioning of 21 boundary roads and two link bridges, totalling 27.4 kilometres in Alimosho Local Government on Easter Monday – a practical demonstration of the administration’s commitment to take the lead in SW region’s economic integration which remains the best alternative to arresting mass unemployment, food security and enhanced infrastructure development worthy of emulation by the remaining states to return SW to the golden era of leadership in socio-economic development in Nigeria. Expectedly, the excited and appreciative people of the area saluted the government and Governor Ambode while calling his attention to other roads and public utilities that needed government’s intervention. The roads commissioned include: Road with Bridge (7.2km), Aiyetoro Road with Bridge (1.280km), Dualisation of Raypower Road (2.7km), Amikanle Road (3.340km), Oko Filling Road (1.660km), Ogunseye Road (1.870km), Osenatu Ilo Road (0.700km), Aina Aladi Road (1.109km), Oluwasanya Road (0.636km), Igbehinadun Road (0.360km) and Community Road (0.750km). Others are: Isoto Road (0.730km), Palace Road (0.660km), Timothy Afolabi (0.745km), Peak Thomas Bright Crescent (0.490km), Baale Street (0.710km), Joe Ikebudu (0.460km), Bishop Oderinde (0.270km), Alhaji Ganiyu Salami (0.520km), Kadiri Adebambo Street (0.533km) and Church Street (0.710km). Speaking at the commissioning of Aiyetoro Bridge, Senator representing Lagos West Senatorial District, Olamilekan Adeola, said the Governor had surpassed the expectations of residents, noting that early inhabitants in the area who had abandoned and left years ago are returning to the axis due to the massive infrastructure renewal by the present administration. 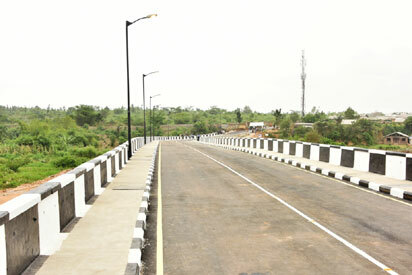 Also, one of the Community Development Association, leaders in the New Aiyetoro Link Bridge, Ishefun, Prince Onaolapo Olayinka, commended the governor for the feat, noting that the most beneficiaries would be the “Aworis,” the settlers, as it would improve employment and economic power of the generality of residents. The story was not different from the other three places as community leaders took turns to praise and assure Ambode of their 100 per cent support and loyalty come 2019, even as they requested for more infrastructure development in the area. While addressing the mammoth crowd, Ambode made another pledge to further develop other communities within the axis and the rest of the state. The roads, which are mostly link roads, and connect Lagos with Ogun State from Agbado Oke-Odo Local Council Development Area, were fitted with walkways, drainage systems, lay-bys, service ducts, lane marking and street lights, among others. 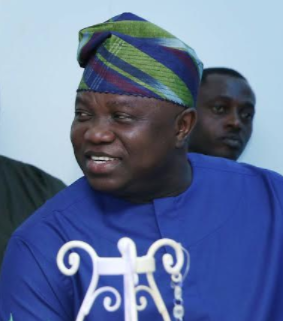 The post Regional integration: Ambode inaugurates 21 road networks between Lagos, Ogun border appeared first on Vanguard News.